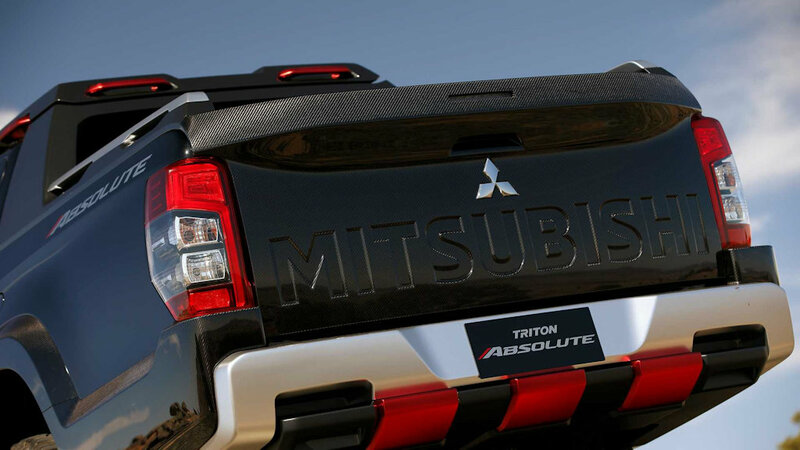 It looks like Mitsubishi is dead serious about making an ultimate version of its Strada / L200 / Triton pickup truck. 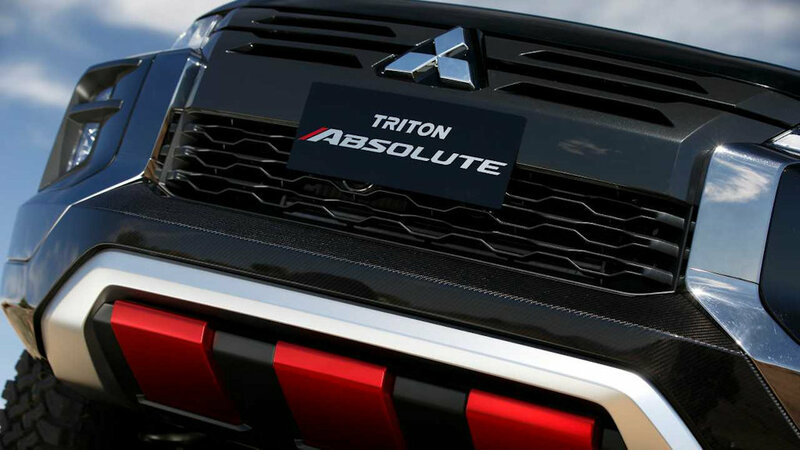 Instead of just showing off the L200 Mountain Rescue Concept, which, admittedly looks a bit sissy right now, the Japanese automaker has come up with this: a carbon fiber clad pickup truck called the Strada Absolute (Triton Absolute in Thailand). 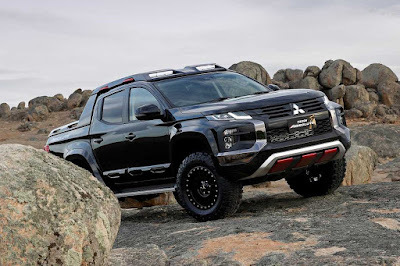 Officially, Mitsubishi is using the Bangkok Motor Show to “gauge interest,” but if enough people think a tougher-looking, more capable Strada is their cup of tea, it can head to production in about a year’s time. 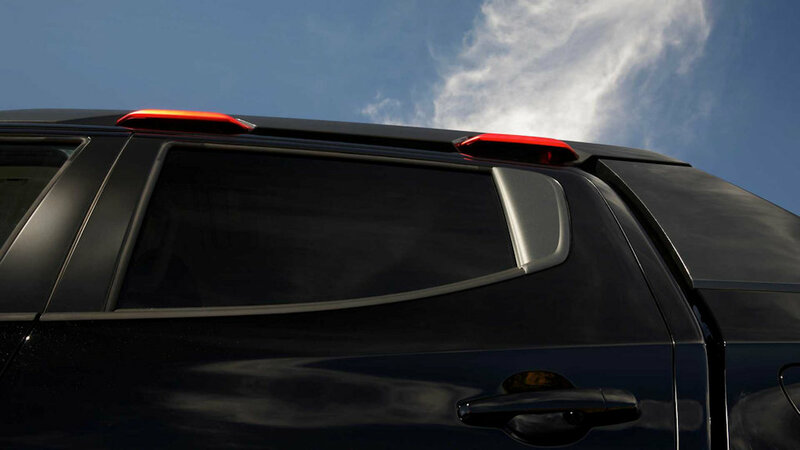 Starting out life as a regular Strada, the Strada Absolute gains a higher ride height (plus 50 millimeters) for increased ground clearance. Along with this, it gets widened tracks and increased suspension travel as well. Oh, and the larger wheel space also enabled engineers to fit in chunkier all-terrain tires as well. 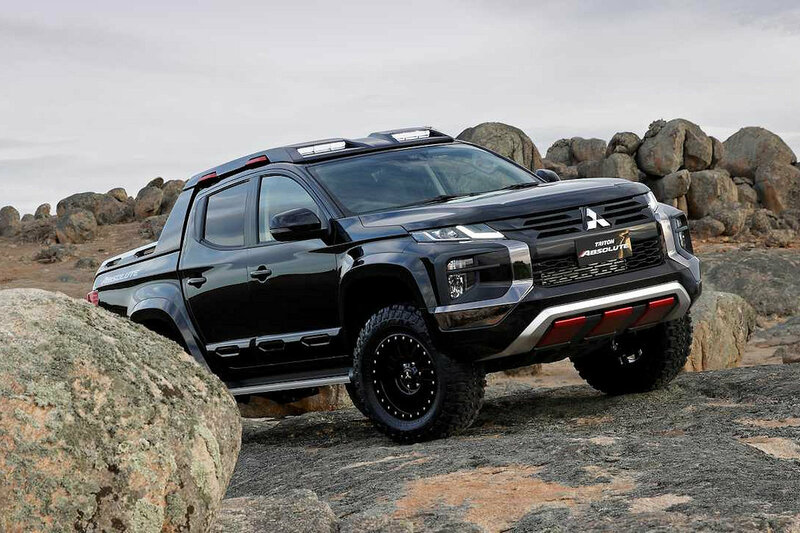 Going along with this more aggressive stance, Mitsubishi has decked out the Strada Absolute with roof-mounted LED lights, front and rear skid plates, and a blacked-out grille. 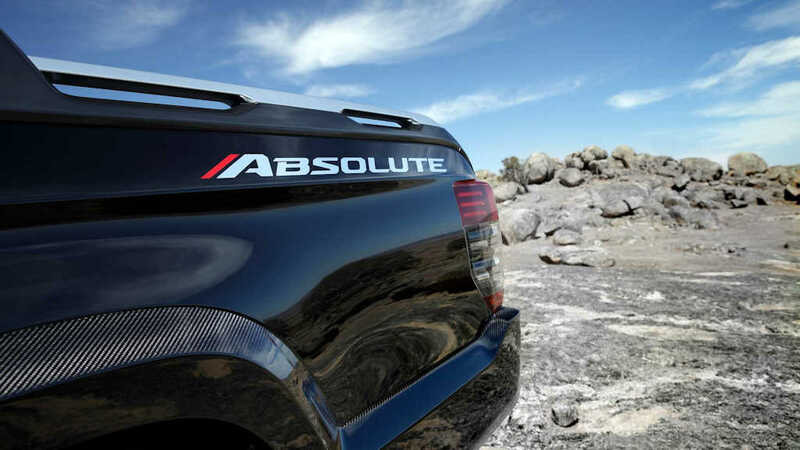 Capping off the change is lots of carbon fiber and this can be found on the front and rear bumpers, fender flares, and even on the tailgate. 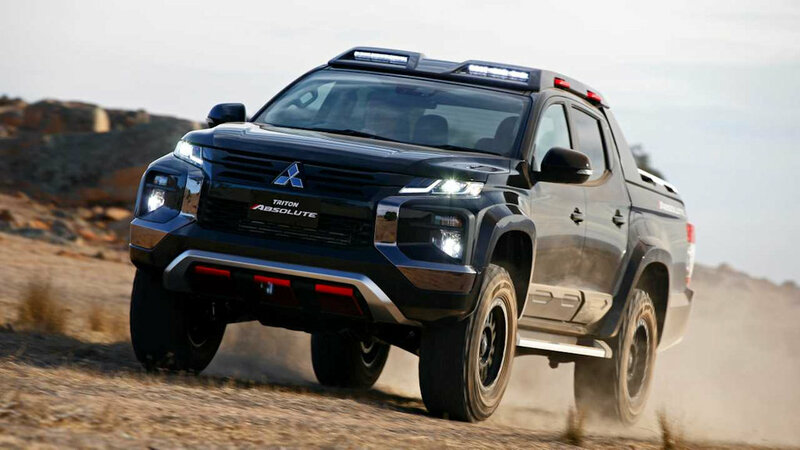 Mitsubishi has remained silent on the Strada Ultimate’s powertrain so it’s a safe bet to assume that it remains mechanically unchanged from the regular pickup truck. Still, because it does not look as outlandish as other truck concepts, this may not end up as a one-off concept truck for long. 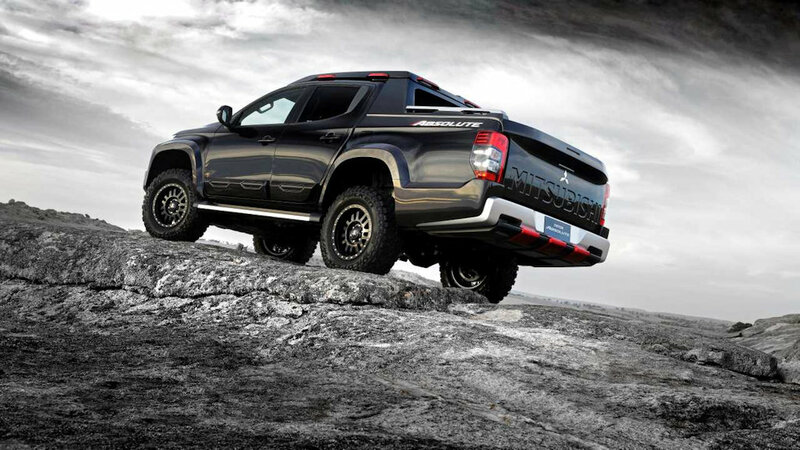 Mitsubishi may actually produce it as is.